Connectors, ground straps and other Andrew accessories assure electrical and mechanical integrity of the transmission line system. Heliax connectors are the only connectors completely compatible with HELIAX cable. Used together they provide you with a transmission line system that assures outstanding electrical and mechanical performance. Excellent electrical matching of the connector to the cable assures low VSWR, and excellent mechanical matching assures weatherproofing. 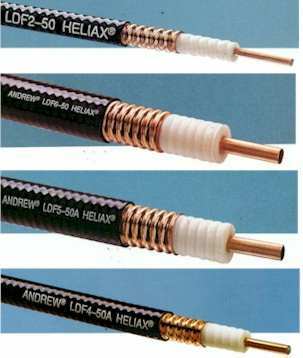 Andrew offers the industry's widest range of accessories and all are designed to be compatible with HELIAX coaxial cable. 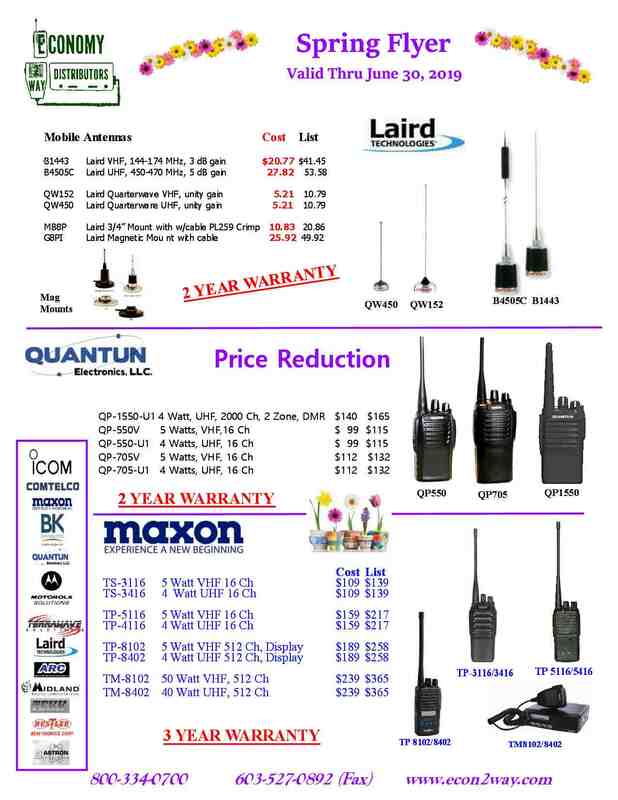 Together, HELIAX cable and accessories form a long lasting cost-effective system. Quality that translates into lower cost over the life of your system investment. Cable Boot, 4 in dia. Cable Boot, 5 in dia. *Recommended maximum spacing for outdoor installation is 3 ft.